With miles of deserted remote and isolated beaches everywhere, experiencing a natural beach spa exfoliating treatment to reveal beautiful soft skin is available at the drop of a hat while on board the 164’ Phinisi charter yacht Silolona on a crewed yacht charter in eastern Indonesia, Myanmar and the Andaman Islands. Sooth skin and exfoliate on an isolated beach, sitting in the sand with warm water lapping at your ankles, using your choice of natural body scrubs to scrub your skin to a healthy glow. After absorbing the myriad of benefits from the various scrubs, just slip into the warm crystal clear blue green waters right at your feet, and let the salt water naturally rinse the scrub residuals away to reveal your new soft beautiful skin. 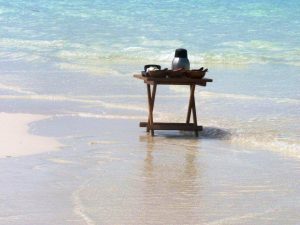 It is hard to beat this natural spa experience on the beach and beautiful waters offered while on board a crewed yacht charter on the charter yacht Silolona. The crew on Silolona source natural body scrubs from a co-op of local woman in Bali, Indonesia who produce finely ground all natural powders including coffee and green tea powders to combat skin water retention, lemongrass powder for facial skin soothing, and sandalwood and ginger powders for fine skin polishing. From the galley on board Silolona, to exfoliate while moisturizing, are natural scrubs of ground fresh coconut meat and almond meal. Presented on the beach on a teak table, with each rub in a coconut half shell, the various rubs are ready to be mixed with fresh water or just slathered on in any combination. Slip into the water after a good scrub to wash it all away for a true natural spa treatment. 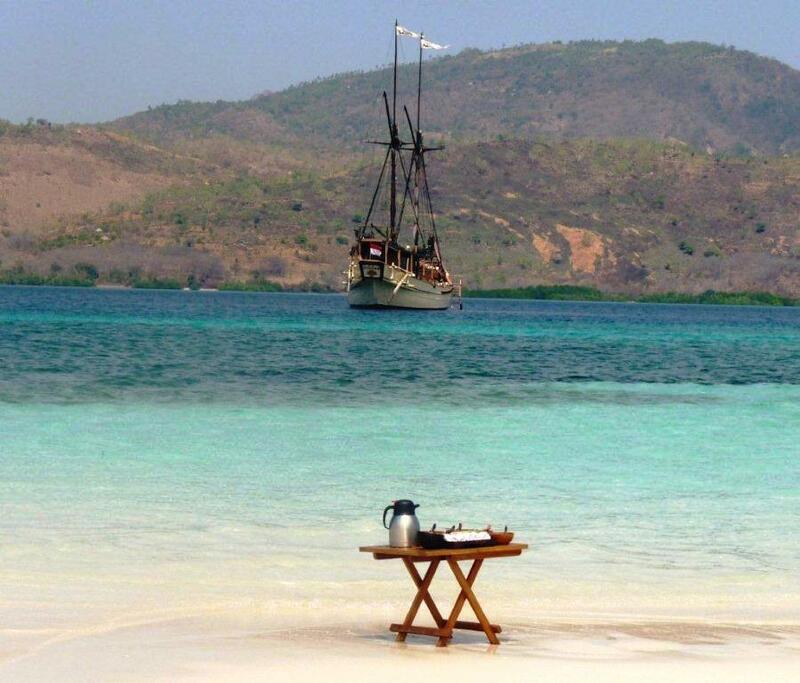 After your swim, cool your brow with a cold lemon grass scented wash cloth while you sip on detoxifying hot ginger tea under an umbrella on the beach watching Silolona sitting gently in the water anchored nearby in front of a gorgeous landscape for a true eye candy treat. 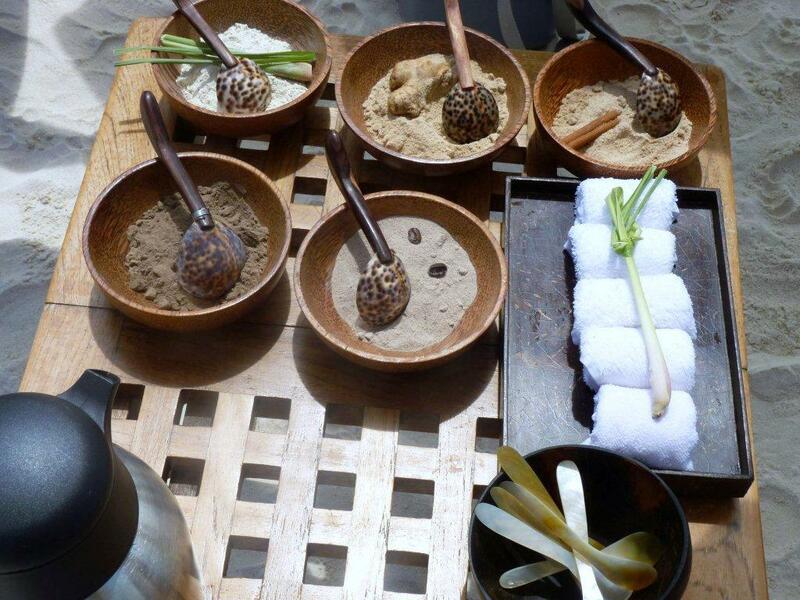 And spa treatments during your charter on board Silolona do not have to stop at natural beachside exfoliating body scrubs. 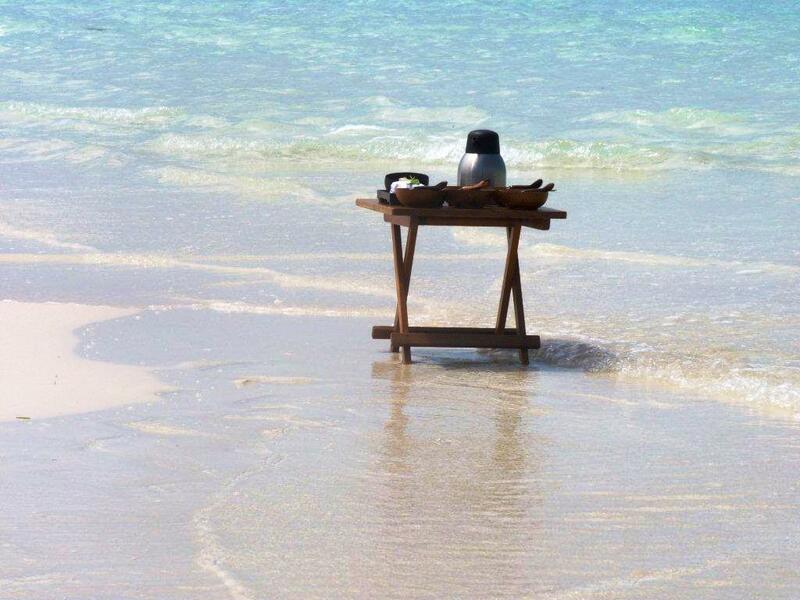 Enjoy massage or reflexology on the beach or even back on board. At this writing, Musri, a crew member on board Silolona, provides excellent deep tissue massages (or soft tissue massages if that is your preference), aimed at solving all of your muscular problems, and Bentar, a crew member on board, provides excellent reflexology for your feet, hands, head and back aimed at solving all of your body problems. Enjoy a crewed yacht charter on board the charter sailing yacht Silolona, and in between the great multitude of activities offered, relax with a natural beach body scrub, body massage and reflexology.